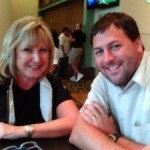 Carol Mazur – Top Pro Real Estate Training & Coaching? Carol Mazur: Welcome, I’m Real Estate Trainer and Coach Carol Mazur and I’ve been licensed in Real Estate for over 25 years. I still remember what a struggle it was to reach the top. My parents were not business owners and I did not have a mentor to show me the ropes. There was so much opposing advice about how to list and sell real estate that I was constantly starting a new patented training system before fully implementing anything I already had in place! Now our easy Top 10 Systems for 50 Sales Training and LIVE real estate hands on coaching combines the systems you have in place with technology tips, values, and proven top pro training to get you to the top, quicker. NEED A TOP REAL ESTATE TRAINER TO COACH YOU? “Carol Mazur – known as “The Top Producer Maker” perfected her craft by coaching, training, and mentoring hundreds of real estate agents, brokers, and managers – including those who sell 24, 68, 120, and team doing over 400 units a year. 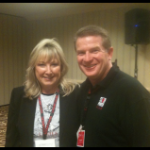 Her experience in opening and running an innovative “Success Center” for over 325 agents taught her how to coach you. “If I was 1/2 as much of a role model as Carol Mazur, I would consider my career a success. Those 300 agents were the best of the best along the east coast and they were following her path of direction daily.” – Phillip Or. Almost all of the hundreds of hours of real estate training courses Carol Mazur took were designed to protect her real estate company, herself, and the public from any possible future mistakes she might make when selling homes for a living. Sometimes it seemed that no one designed programs to protect her, the hard working real estate agent, from going broke. Now she is sharing 10 step real estate training + real estate coaching systems to help you thrive both personally and financially in real estate. That’s why we’ve created Top Pro Training & Coaching. Our Top Pro Education Center for 50 Sales helps real estate professionals: agents, trainers, managers, and companies build healthy, successful, customer-friendly businesses. We’re on a mission to help thousands of agents become financially free to do what they love to do – which usually involves creating a care-free lifestyle for themselves and their families, while offing the public tremendous value selling real estate. You are invited to give our free real estate agent sales training a try, and then come back to become a member of our exclusive Top Pro Group. Simply click join us to get started implementing your own Top 10 Systems for 50 Sales. No need to watch hour-long webinars designed to sell you on products or affiliate offers at the end. In fact, everything we introduce into our real estate training & coaching has been proven to work by top producers. We have developed cutting edge technology tools, live streaming events, online practice rooms and 4 – 7 minute ACTIONAR® coaching videos to help you become a top pro in the quickest time possible! We research low cost, more effective, systems that work, and help agents focus on building Top 10 systems for 50 sales™ in our Top Pro Training Center. And we do all of this, step by step! 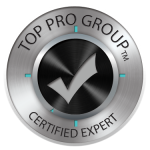 Our innovative “Top Pro Center for 50 Sales” was designed especially for you, our highly regarded Top Pro Group. We make it easy for you to create systems with the goal of 5 sales at a time. Everything is organized into step-by-step systems and designed to give success-minded real estate agents fast results, so that once your systems are in place, you can relax and become a top producing agent. This is how top producers become successful – one system at a time. My real estate training experience explains why I am a trainer and coach… and why I can help YOU become a top pro. We stand up for what we believe, and we believe in YOU. It’s easy to increase production when you are around other top pros. Our business philosophy is simple, “top results can be accomplished with a little bit of caring, Top 10 cutting edge systems, and a lot of accountability”. With training and coaching for both top producers and new agents, you’ll grow quickly with Top 10 Systems for 50 Sales. When you join our Top Pro Group, you’re family, and together we’ll continuously discover new ideas, new technology, and proven wealth, creating marketing systems that lead to your continued success in real estate. Ask about our free Company Benefits Program and offer your agents real estate training & coaching company discounts and more! Fill in our form today, or call 973-310-4545 24/7 and leave a message. Help your agents get to the next level with no cost to your company. Be sure to Contact US! Originally from the NYC area, Carol enjoys living in Jupiter, Fl and Wilmington, NC with her husband, Tom. 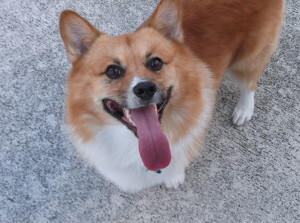 Their Corgi dog, “Beau” shares their love of the beach and the water. Carol helped raise two beautiful successful children: Nicole, Associate Art Director for People Magazine in NYC, and Tommy, an accomplished film editor in New Jersey. Carol is a big believer in giving back and supports numerous local and national groups and charities. You can benefit from Trainer Carol Mazur’s countless hours of research and hands on implementation of proven ideas and systems that work for top producers, along with her professional development expertise. She will help you focus on results in this ever changing real market so that you can be, or remain, in the top 10 or 20 percent of your local marketplace. 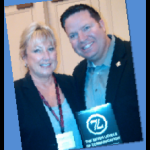 Carol Mazur – Top Pro Training – Real Estate Trainer & Coach. 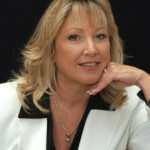 Real Estate Trainer Carol Mazur is “The Top Producer Maker”. 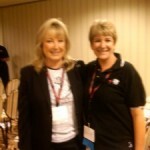 Carol Mazur Best Real Estate Coach.